There are a lot of skinny girls including myself have a slim figure and very active in gym. But our waist look very straight. I have submit this blog to my beloved brand MagicFit to be able to share my success on Waist Training for Skinny Girls. I am a x-champion in bodybuilding (some of you may have seen my picture before. so I’d like to keep that under my hat at the moment.) 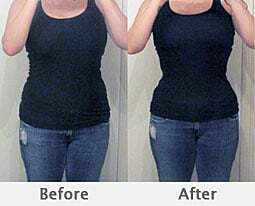 I just want to share some useful tips to girls who has similar figure on how to build a beautiful waist line. Then I realised my skin is already very tight and I don’t have much fat at all around my waist area. 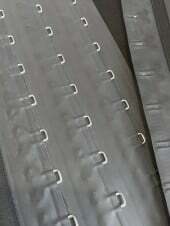 Although it is good to wear the corset and keep my waist that way. But I need something with more strength. 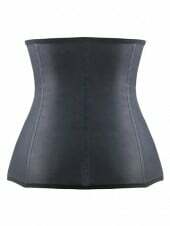 I have ordered the spiral steel boned waist trainer (Click here for quick link) and I have been wearing this for intensive hours everyday except when I sleep or shower or doing exercises. At night time I have been wearing the Royal Blue bodysuit. Well I know it is pricy but a beautiful body shape with a slim waistline means much more to me. lol. I loved this product. It is very well made. I just wish it came in a different colour. But I can do the royal blue for the function of this item. I can actually wear it under a lot of my clothes. It became more useful than I thought it was. On top of that, of course I have the hot alfa Arm burner and Thigh burner which I ended up give it to my sister because she have fat around that area which I am very toned already for my bodybuilding competition coming up soon in July. I have been very careful with my diet as usual. If you want the result fast, you need to stick to your waist training plan and do your waist training like a religion.